A bus carrying Jewish children was stoned in Antwerp by Islamists. Young Jewish kindergarten children traveling on the bus Sunday afternoon from the Antwerp Hayder school on their bus were attacked Sunday by a gang of Muslim teenagers, according to Jewish media in Belgium. According to a security source quoted by the Coordination Forum for Countering Antisemitism (CFCA), the children were returning from a swimming pool at the time of the attack. The driver stopped the bus and realized that the Muslim attackers were youths who lived near the swimming pool. 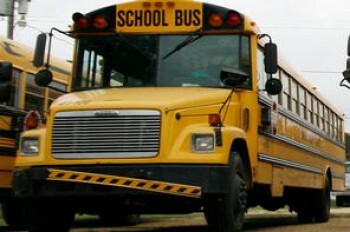 The gang surrounded the bus and started hurling rocks at the vehicle and its small passengers, according to the report. None of the children, about five years old and members of the Orthodox Jewish community, were physically injured in the attack. Police opened an investigation after the teacher filed a complaint. Security personnel arrived at the scene and collected surveillance footage from the area in order to identify the attackers. No arrests have been made thus far.